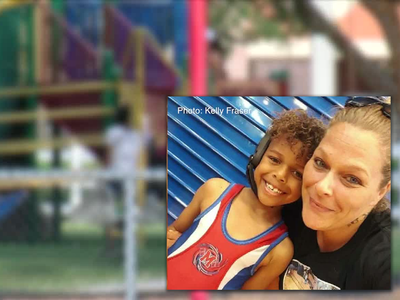 BRADENTON, Fla. — A Manatee County mother is demanding more than just an apology from her son’s summer camp after he was left behind by camp counselors last week. Kelly Fraser’s son passed out suffering from severe heat exhaustion, which went unnoticed by the camp counselors when his group left the playground at G.T. Bray Park. Her son, just 7 years old, was later found by a couple of nice strangers who woke him up and called her. When Fraser confronted the camp management, she says they told her that the counselors were sometimes just lazy. As for Fraser’s son, he is doing okay now but was sick enough that his mom had to take him to the hospital after the accident.